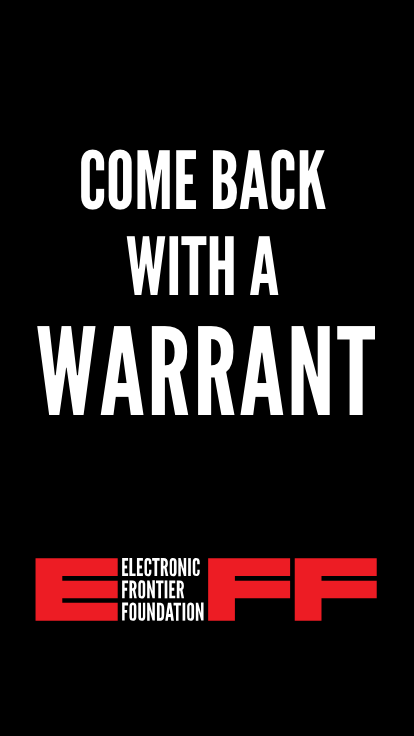 Say it out loud: "I want an attorney." 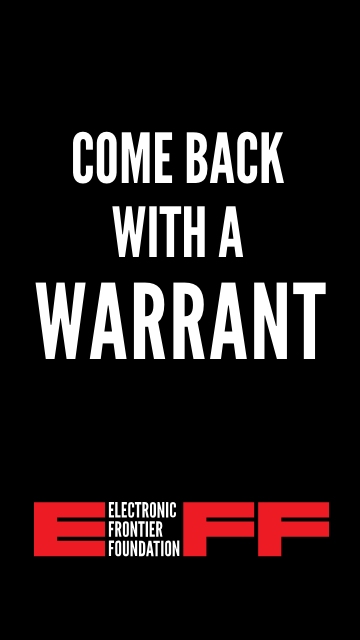 and "I invoke my right to remain silent." 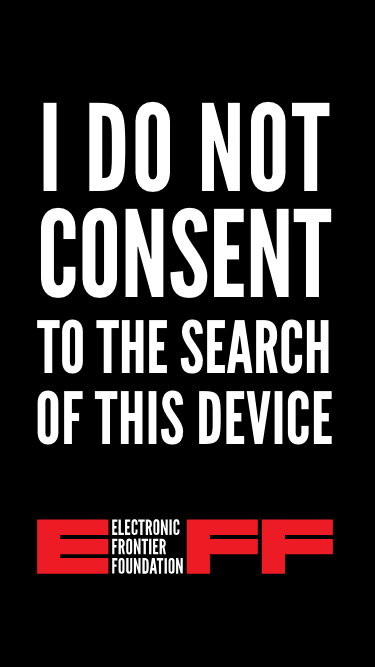 These lock screens are based on our stickers! 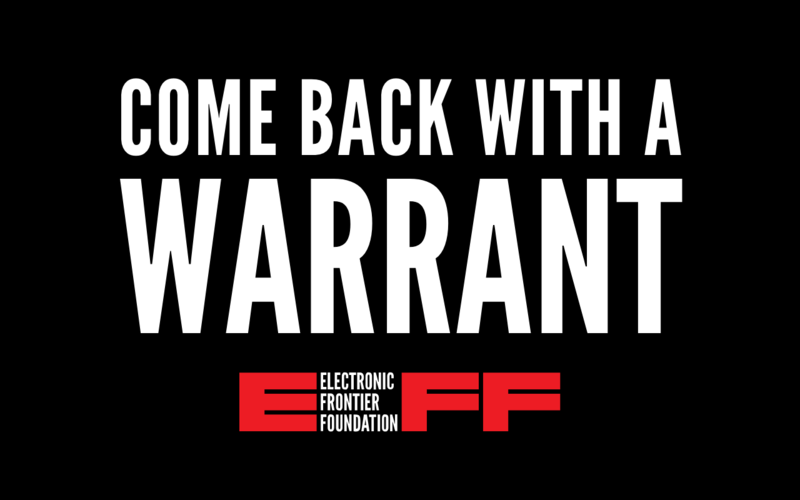 By popular demand, here are three different designs, all using our new logo. 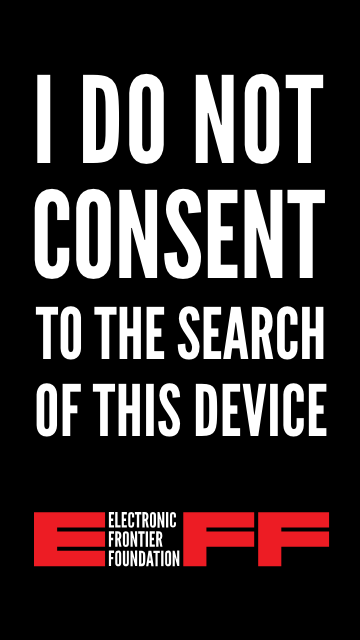 Please feel free to right click on the correct size for your device to download and use as your lock screen image. 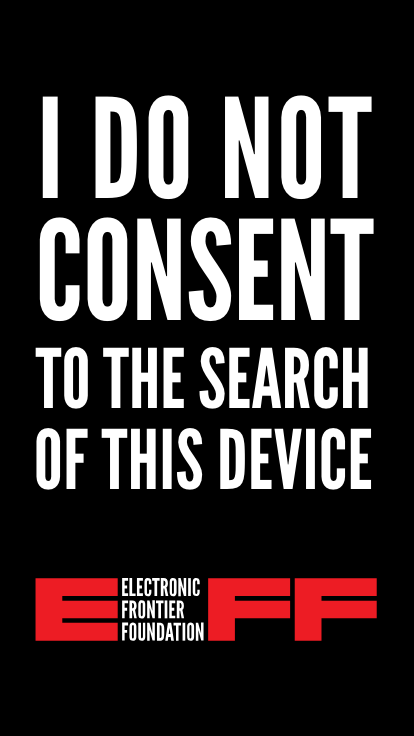 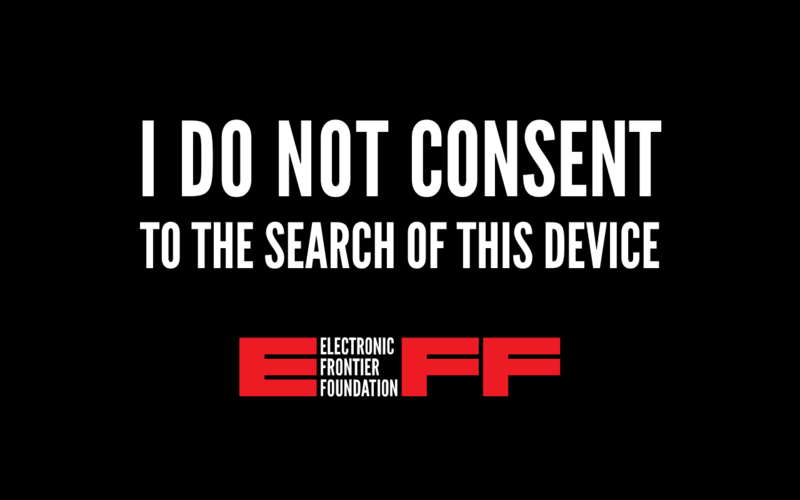 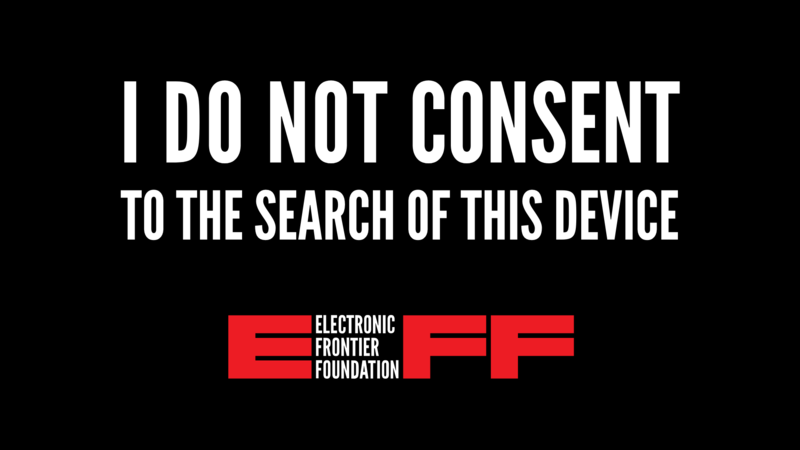 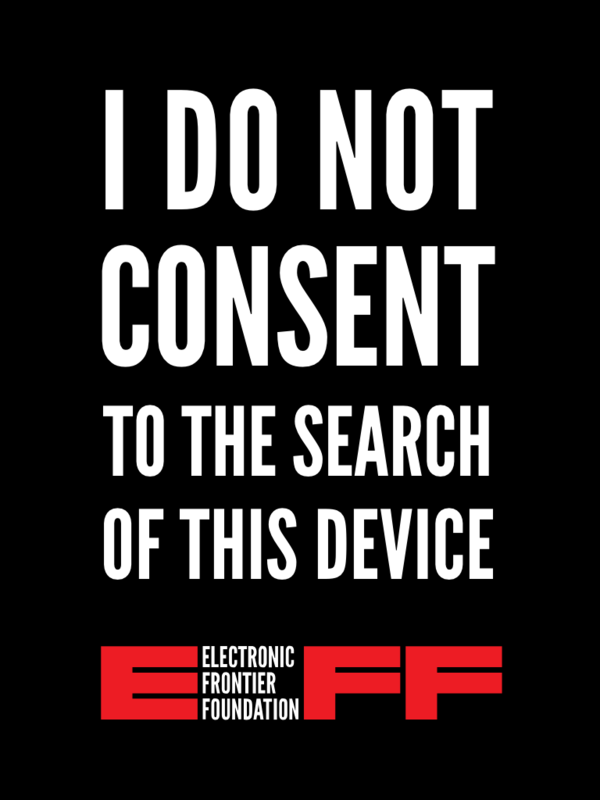 New stickers will be available soon—for now, you can still grab our vintage “I do not consent to the search of this device” stickers in the EFF shop. 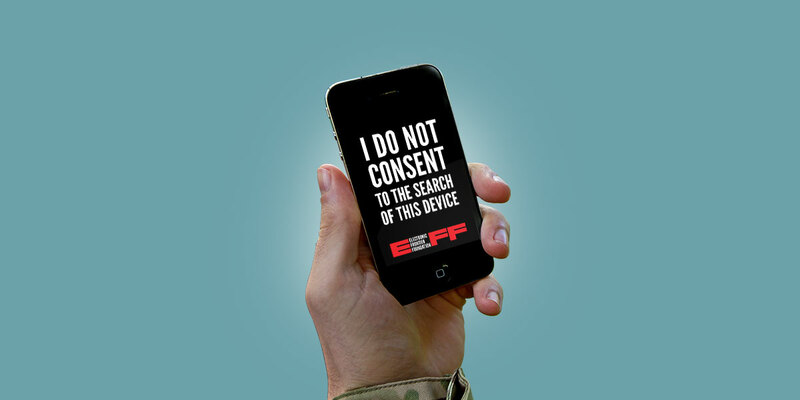 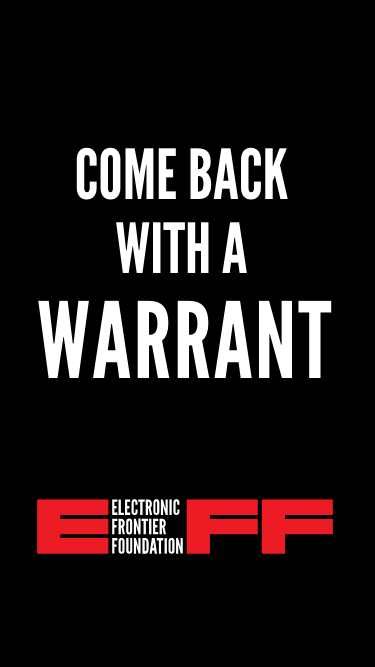 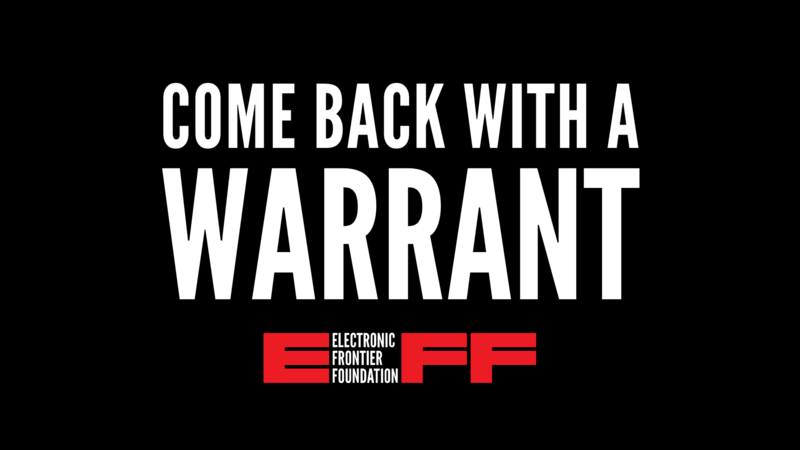 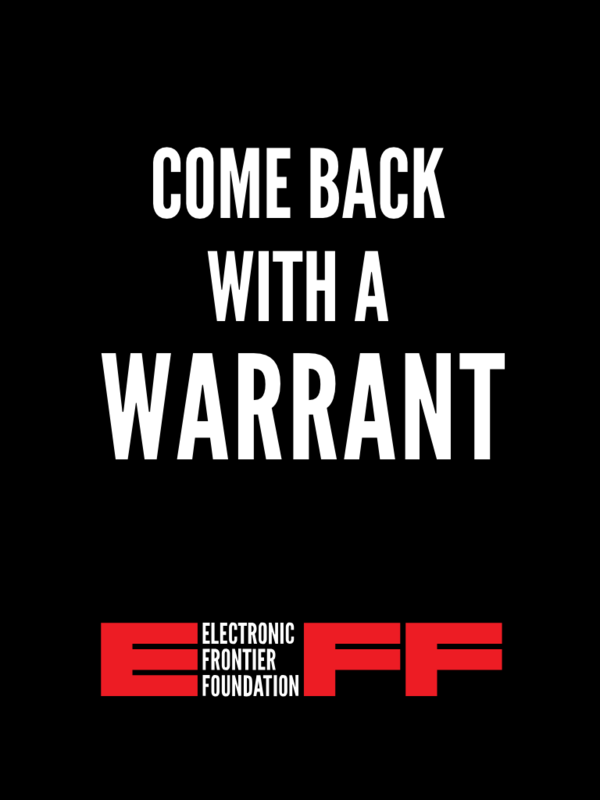 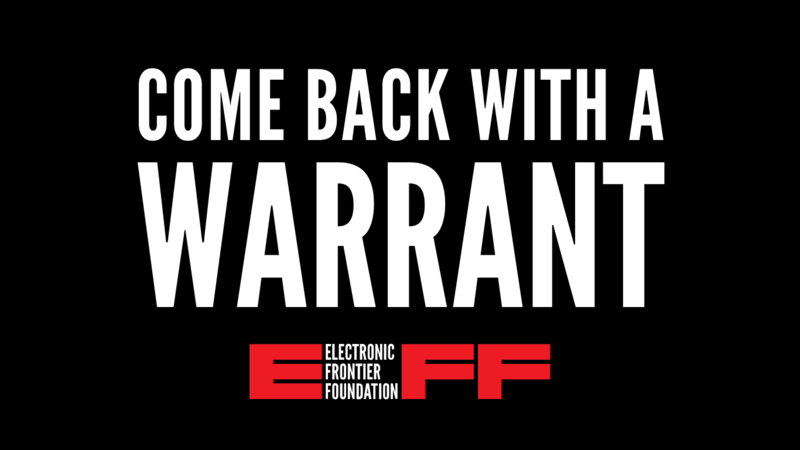 Note that EFF cannot guarantee that the use of this lock screen will prevent a search.